Having announced his diagnosis with a brain tumour in June, beloved world baritone Dmitri Hvorostovksky made a triumphant return to the Met Opera stage in September. Hvorostovsky’s website now lists a new album, upcoming concerts and an upcoming season of Eugene Onegin at Royal Opera with our own Nicole Car. Car’s Royal Opera debut in October, as Micaëla in Carmen, brought strong praise (for example here and here). Following this tantalizing sample, Car’s future at Royal Opera, and, it could be argued, her international career as a whole, hinges on this week’s opening of Eugene Onegin, in which she makes her London debut as Tatyana. Australian audiences have no doubt of Car’s ability to mightily impress in the role, having seen her electrifying breakout performance in the role last year, when Royal Opera Director Kasper Holten directed his production of Eugene Onegin in Melbourne and Sydney. Dynamic Director Holten last week announced his resignation from Royal Opera, and will be moving back to Copenhagen with his family in March 2017. While Holten has attracted the odd drama, such as this year’s controversial staging of Guillaume Tell, his energy and flair have also brought much positive attention. The search is now on for Holten’s successor. 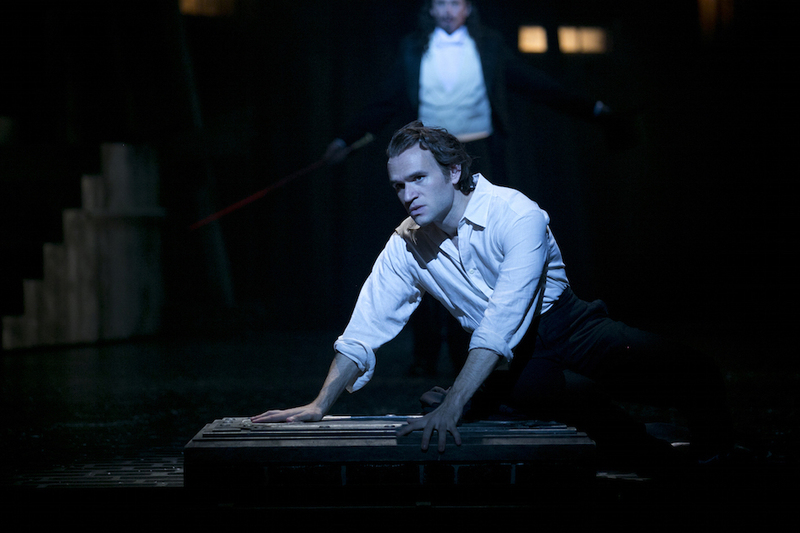 Opera Australia scored one of its biggest hits of the year back in February with Faust. Sensational American tenor Michael Fabiano (below) thrilled audiences in the title role, with Car a gorgeous Marguerite and Teddy Tahu Rhodes a charismatic Mephistopheles. Opera Australia’s year continued in fine form, with the ongoing successful model of the reviving the very best past productions and ensuring that new productions are of the highest possible quality. 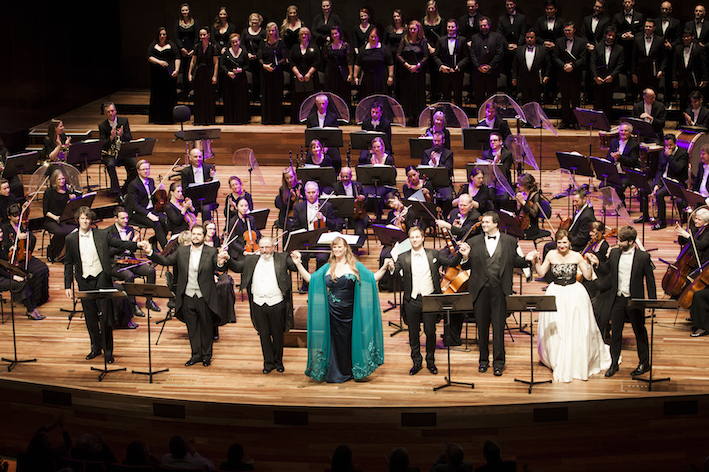 The company of Australian singers has been somewhat depleted, but local singers are still well represented and the roster of visiting international singers continues to impress. Returning favourites this year included the epic spectacle of Elijah Moshinsky’s Don Carlos (1999) (below). South Korean tenor Yonghoon Lee and American soprano Lise Lindstrom thrilled Sydney audiences in Graeme Murphy’s majestic Turandot (1990). Australian soprano Lorina Gore and Albanian tenor Ramè Lahaj made auspicious Sydney role debuts in Elijah Moshinsky’s La Traviata (1994). Delightful soprano Rachelle Durkin starred in Simon Phillips’ dinky-di The Elixir of Love (2001). Divine Japanese soprano Hiromi Omura starred in what was rumoured to be the last outing of Moffatt Oxenbould’s cherished staging of Madama Butterfly (1997). Melbourne had the chance to see the dark new Don Giovanni by Sir David McVicar, with Rhodes in top form in his signature role. 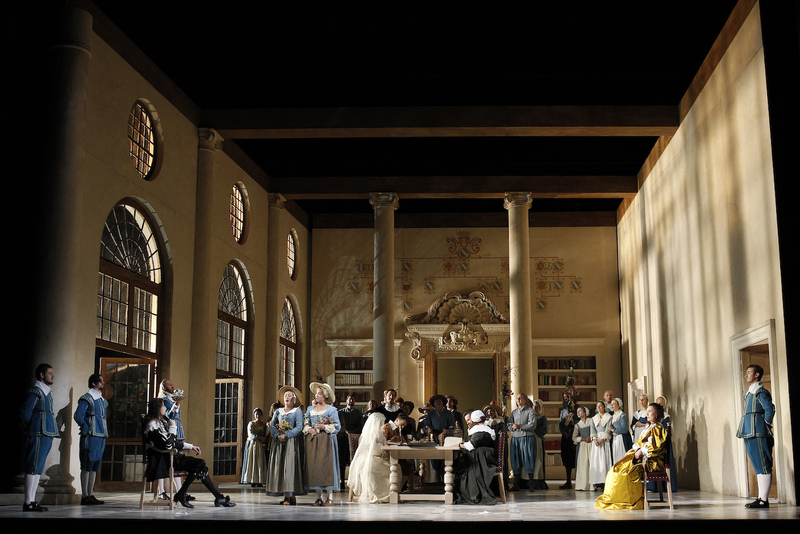 McVicar’s Mozart/Da Ponte trilogy continued with a beautiful staged and expertly directed new production of The Marriage of Figaro. Sometimes unfairly judged by comparison to traditional indoor acoustic opera, Handa Opera of Sydney Harbour maintained its place as a spectacular Event. 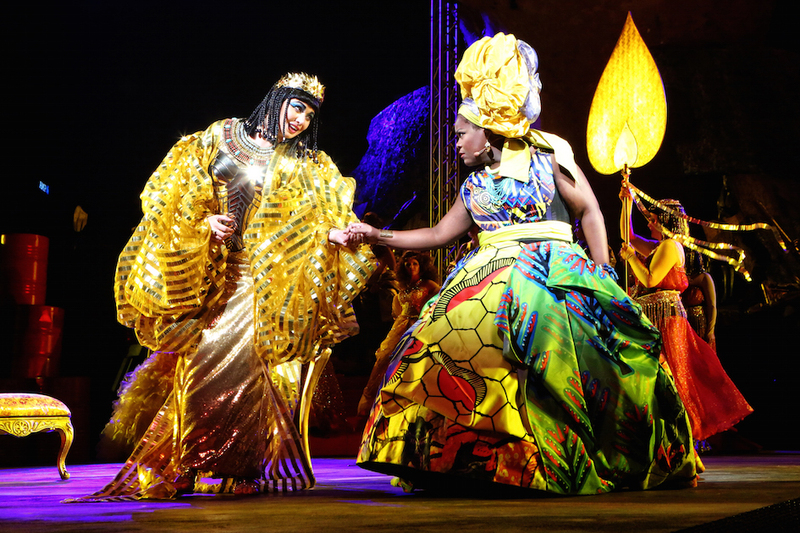 Gale Edwards’ concept for Handa Opera on Sydney Harbour: Aida did not match the ingenuity seen in Madama Butterfly (2014) nor the artful simplicity of La Traviata (2012) but the production was graced with truly wonderful singing from American soprano Latonia Moore (below, right) and Australian-based Serbian mezzo-soprano Milijana Nikolic (below). 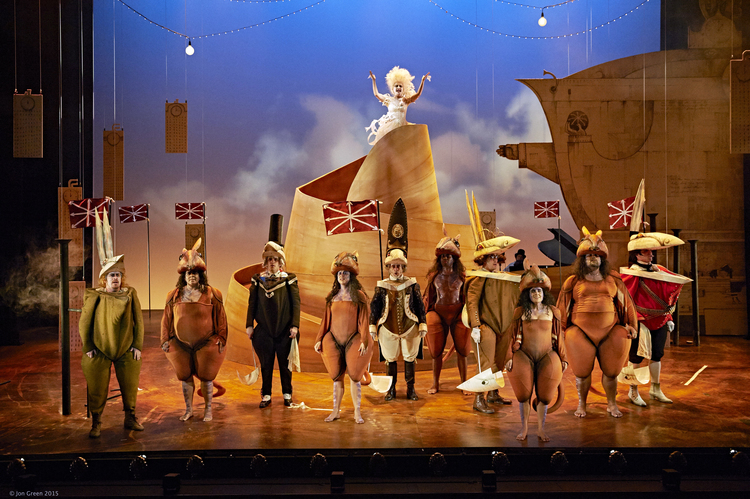 While Oscars and Tonys have raised profiles and sold tickets for years, Australia had its own experience of this when Opera Australia’s brilliant new opera The Rabbits (below) swept its categories at the Helpmann Awards and sold out long before it opened in Melbourne. The coming Sydney season is sure to experience the same level of success. The highly original opera was as boldly stylistic and entertaining as it was accessible and unpretentious. Victorian Opera continued their unrivalled dedication to new works with delightful new children’s opera The Grumpiest Boy in the World. 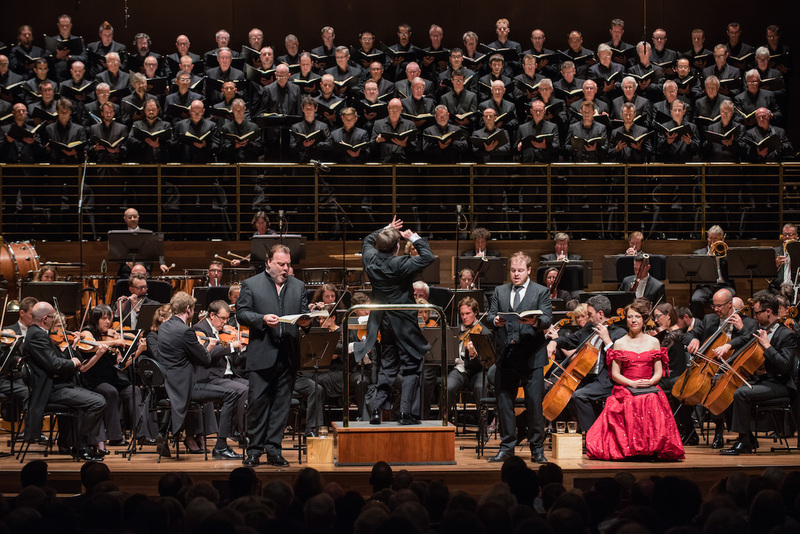 A unique concert presentation in November paired Weill’s Die Sieben Todsünden with a newly commissioned collection of reflections on Seven Deadly Sins based on Australian states and territories. Cabaret sensation Meow Meow made a rare appearance on the operatic stage as the vulnerable heroine of Weill’s Die Sieben Todsünden. Victorian Opera broke new ground with exciting 3D computer animation for their staging of Wagner’s The Flying Dutchman. 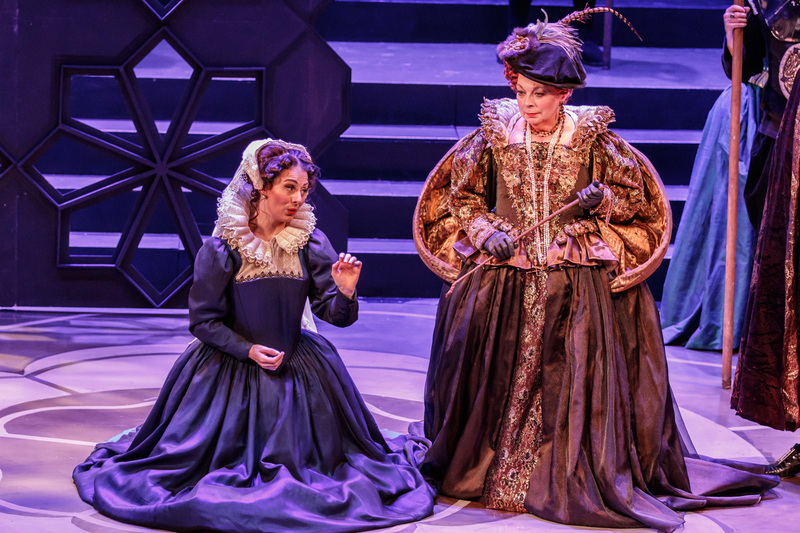 The company scored the Melbourne operatic event of the year with a thrilling you-just-had-to-be-there concert presentation of Bellini’s I Puritani (below), in which soprano Jessica Pratt gave another highly memorable performance. Further concerts in Melbourne included a visit from golden American soprano Renée Fleming, who performed An Evening with Renee Fleming with the Melbourne Symphony Orchestra at the invitation of Maestro Sir Andrew Davis. Romanian superstar soprano Angela Gheorghiu made a long awaited visit, and while An Evening with Angela Gheorghiu showcased the beauty of her voice, the reliance on sheet music on a music stand and the lack of banter impacted the audience connection that should have been more strongly established. The Melbourne Symphony Orchestra derived solid value from flying out beloved Welsh baritone, first pairing the charming star with local music theatre identity Lisa McCune for a concert of Broadway Classics. 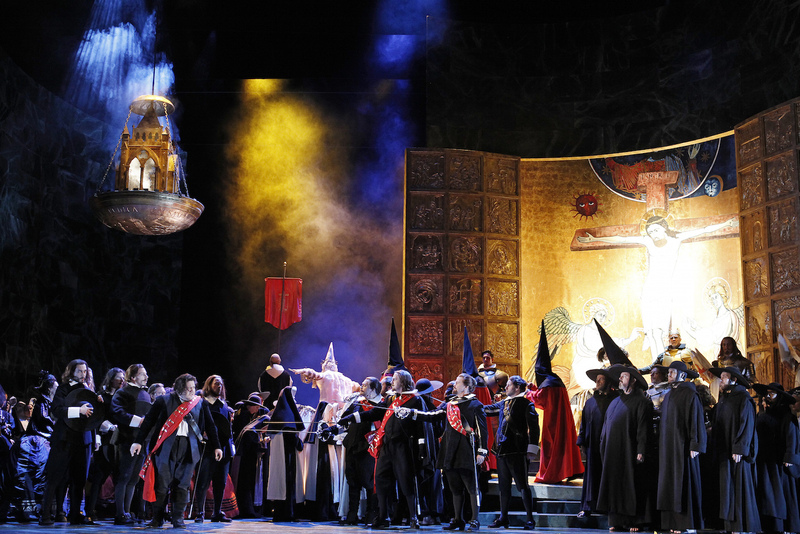 The following week, Terfel headlined a concert performance of Berlioz’s The Damnation of Faust (below), which was within a whisker of surpassing I Puritani as the operatic concert vent of the year. Terfel’s mischievous Méphistophélès was well matched in quality by English tenor Andrew Staples, whose pure tenor and French diction were a pleasure to hear. With a reduced output from Opera Australia in Melbourne (five mainstage operas, down from seven in 2014), other companies more than readily filled in the gaps with innovative, eclectic, lovingly staged productions to entertain Melbourne’s opera lovers. Melbourne Opera had a particularly polished year, beginning with von Weber’s rarely seen, darkly dramatic opera Der Freischütz. This was nicely offset by the return of 2010’s zesty staging of The Barber of Seville, featuring an appealing performance from talented young tenor Brenton Spiteri. Finally, the bar was raised even higher with bel canto classic Mary Stuart, starring returning soprano Elena Xanthoudakis (left, below) opposite grand dame Rosamund Illing (below). The first of Lyric Opera of Melbourne’s 2015 seasons, comic pair Spanish Time and Gianni Schicchi, was more than sound musically but not quite on par with the production standard seen previously. The company followed this, however, with an exceptional presentation of long lost Marshall-Hall opera Stella, an exceedingly rare Melbourne opera. Soprano Lee Abrahmsen (below) gave a ravishing performance in the title role. Left Bauer Productions presented a truncated concert performance of Wallace and Korie’s Harvey Milk the Opera, which definitely left the audience wanting more. 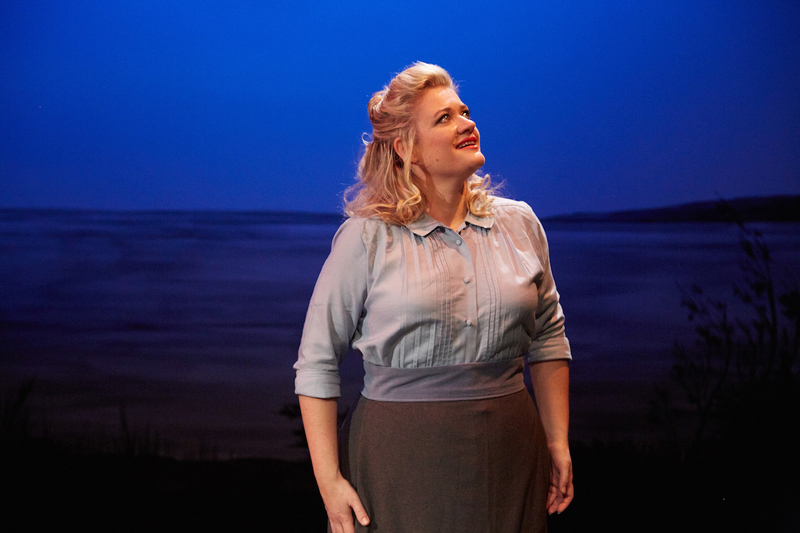 Gertrude Opera presented an affecting production of Britten’s Curlew River. CitiOpera filled the beautifully restored Hawthorn Arts Centre with the glorious music of Rossini’s La Cenerentola. Sydney Chamber Opera graced the Melbourne Festival with Gyger and Wilcox’s original opera Fly Away Peter, a haunting new work based on David Malouf’s poetic WWI novel. 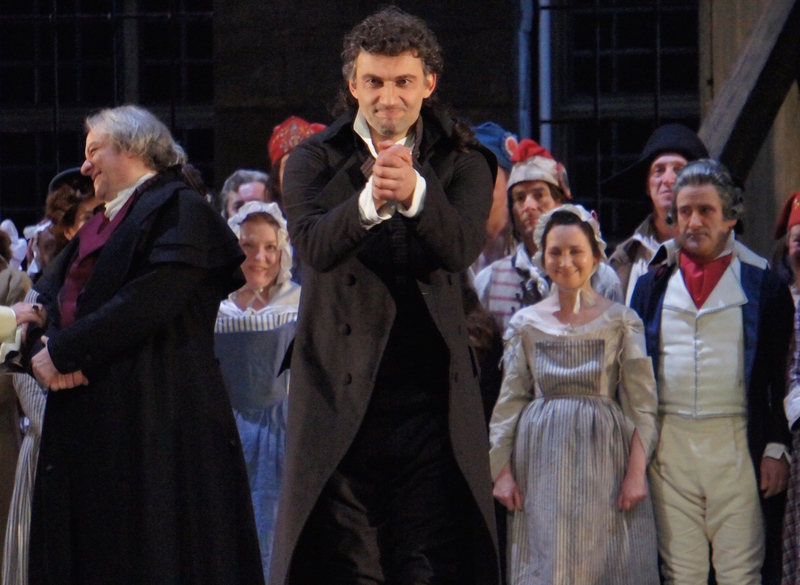 A highlight of the annual London visit was the chance to attend opening night for Royal Opera’s new production of Andrea Chénier starring white-hot übertenor Jonas Kaufmann (below). Directed by Sir David McVicar’s and conducted by Royal Opera music director Sir Antonio Pappano, the production was a fitting showcase for Kaufmann’s exceptional talents. 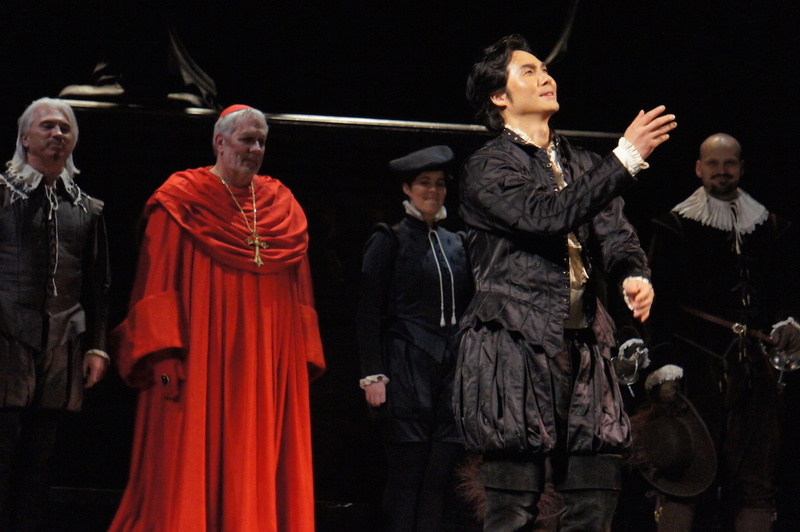 The annual New York visit brought a chance to see act one of Don Carlo, which was cut for Opera Australia’s season. The superb performance of tenor Yonghoon Lee (below) in Don Carlo raised anticipation for his Australian return visit to star in Turandot. The Met’s epic Aida remains in glistening form, while the basic direction of Ernani is showing its age, despite strong performances from the lead singers. Looking ahead to 2016, highlights include further performances from Car and the completion of the McVicar trilogy in Opera Australia Season 2016, and the eagerly anticipated return of Pratt in Victorian Opera Season 2016. That’s a great wrap up of the year. Latonia Moore in Don Carlos was the highlight of my year. It was a Rolls Royce voice surrounded by a bunch of Corolla’s (except for Ferruccio Furlanetto – who was superb also). Thanks so much for your comments Damian. I’m jealous that saw Latonia in Don Carlos. I’m based in Melbourne so I only get to Sydney occasionally. I’ve been watching HOSH Aida on Foxtel recently just hear Latonia as Aida again. Hope we can all look forward to many more wonderful nights of opera ahead in 2016!